State Rep. Borris Miles of Houston has captured the Democratic nomination to replace state Sen. Rodney Ellis, putting him on track to win the seat in November. 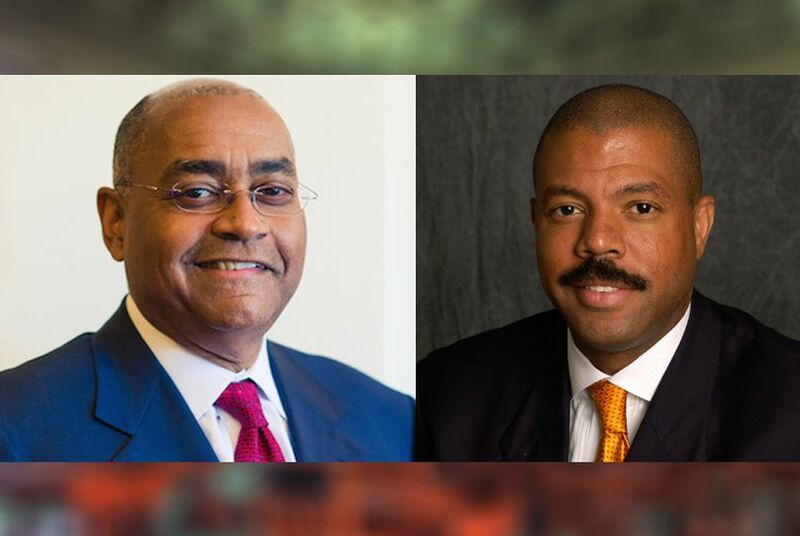 Outgoing state Sen. Rodney Ellis, D-Houston, and state Rep. Borris Miles, D-Houston, chosen by a majority of precinct chairs to replace him. Miles drew the support of a majority of precinct chairs who gathered Saturday to pick a successor to Ellis, according to the state Democratic Party. Miles will run unopposed in the general election. The runner-up was another state representative from Houston, Senfronia Thompson. She won 30 votes to Miles’ 49. Former City Controller Ron Green received four votes. The election was triggered less than a month ago, when Ellis won the Democratic nod for Harris County commissioner. He is also running without a Republican opponent in November. The highly abbreviated Senate race had raised the issue of whether Texas Democrats wanted to promote a House veteran in Thompson, thus losing influence in the lower chamber. Thompson is serving her 22nd term in the House; Miles his fourth. Miles had the backing of former Houston Mayor Annise Parker and the current mayor, Sylvester Turner. Thompson, meanwhile, had racked up endorsements from labor groups and lawmakers from the area. A similar process will now play out to replace Miles in House District 146. The Harris County Democratic Party will call a meeting of precinct chairs in the House district, at which candidates will have to win support from a majority of chairs to effectively succeed Miles.